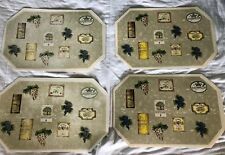 Cafe Deauville Vinyl Wedge Kitchen Dining Table Placemat Set 13" x 18"
Possibly pre- owned or new. Great condition. Black w. 2 colored flowers. Wipe clean vinyl. Oddly shaped oval. 17 1/2" L. x 12 1/2" h. Made in China. Mosaic Print Vinyl Kitchen Dining Table Oblong Reversible Placemat 13" x 18"
Prism Print Vinyl Kitchen Dining Table Oblong Reversible Placemat 13" x 18"
Item: Set of 2 Vinyl Placemats. 17" x 14-1/4". Those who do not give us the chance to correct a problem. give us a chance to fix the problem BEFORE leaving negative or poor. This is a set of 2 Dining Fashions kitchen. Wipe clean with a damp cloth. SIMPLY ELEGANT! These luxurious pressed vinyl placemats are a MUST HAVE! Made of 100% vinyl. Very easy to clean. Wipe clean with a damp cloth. What you see in photo's is exactly what you get. Still factory clipped to eachother. Grapes Country Wine. 100% Wipe Clean Vinyl / PVC. Appear to be very gently used - 2 possibly never used - still with sticker on back. Very little to no staining/marks on rubber back. Only 1 place mat has a slight flaw - refer to pictures. Vinyl Table Placemats ~ Reversible Set of 4 Looney Toons Activities For Toddlers, Kids Tweety Bird. Strong vinyl construction in a thin profile placemat. Protects table top from stains, spills, scratches, and scribbles. 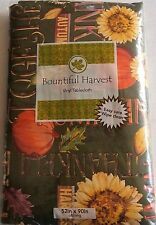 Thank You for visiting My Store FALL VINYL TABLECLOTH Autumn Harvest 52" X 90" SEATS 6-8 100% Vinyl 100% Polyester Flannel Backing. Hello all, I am selling a brand new set of 4 Newbridge Vinyl Wine Theme Placemats. The placements are high quality and can be wiped clean. Great for a wine theme kitchen or dining room. Great gift! Thanks for looking! Disney's Frozen Elsa & Anna Placemat by Jumping Beans. Elsa and Anna graphics add a sweet touch. Sparkle details lend stylish flair. Wipe clean. 15"L x 12"W. Item #A-2,57. 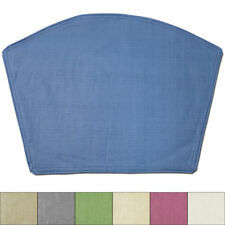 Set of 9 Durable Large Oblong Rubber Placemats. High Quality / Heavy Duty Placemats. Pattern: Vertical Beige on Beige Stripe. Color: Beige. VINTAGE CORELLE BY CORNING REVERSIBLE PLACEMATS SET OF 4 Summer Blush (Pansy’s). Condition is Pre-owned. Shipped with USPS Priority Mail. 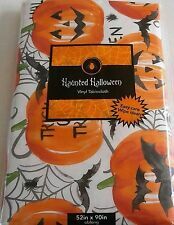 Thank You for visiting My Store HALLOWEEN VINYL TABLECLOTH HAUNTED HALLOWEEN TRICK OR TREAT PUMPKINS 52" X 90" SEATS 6-8 100% Vinyl 100% Olefin Backing. Material:PVC,Size in:18" X 12",Set of 6. Protect your table from scratches and stains,liquid can go through placemats,clean it when finished. The use of placemats show fashion and high-quatity cultural taste of the owners,a delightful placemat that can make you are in happy mood when eating,it will help improve your dining experience and impress your guests,which is a stylish life style of modern life.